Wow! What a bird, made my eyes dazzle…. Thank you for commenting, Carol! Thank you Doda! 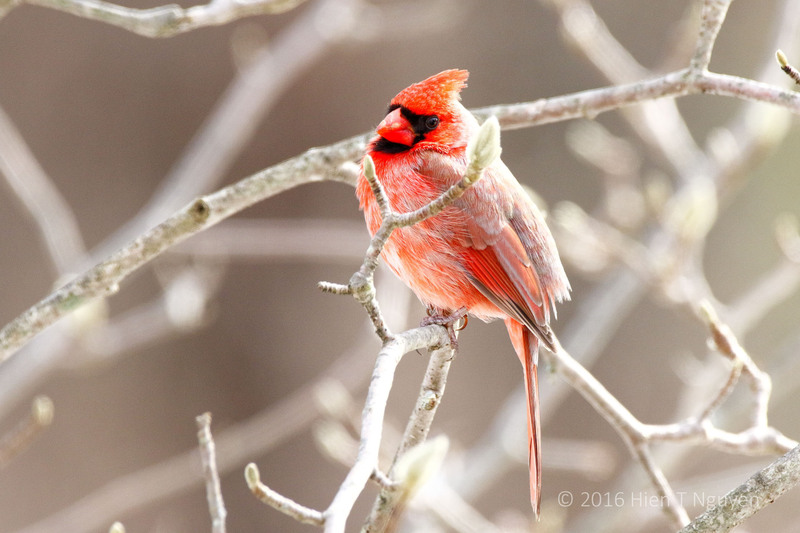 Cardinals make winter more colorful and enjoyable. Wonderful capture! Looks like he’s freezing in the early snow. It was cold! Yet the birds somehow survive, probably because they all have those down feathers that we humans like to have stuffed into your vests. He looks a little chilly. Love the lighting! Thank you Sue! I took those pictures after a major snowstorm, and it was cold for a few days. Gorgeous photos of a stunning bird!! 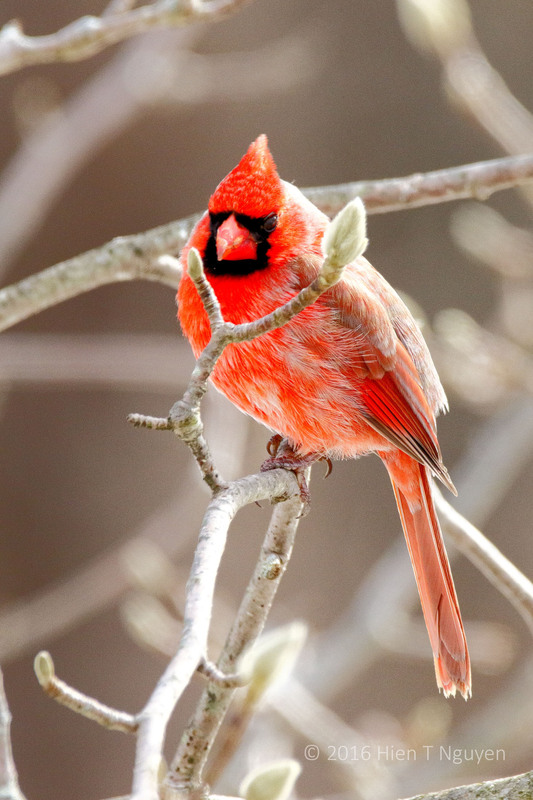 Cardinals help us through the winter. They sure do! Thanks Michael. I miss my cardinals.. I wonder if I can transplant a few to Florida?? Kim, you should have Cardinals in Florida too. They live all over the East Coast down to Florida and Mexico. They’re such beautiful birds anytime of the year, but especially when there is snow for a background. Wonderfully captured, and I love the colors that you’re able to get in your images. Thank you Jerry! Those Cardinals are getting displaced by Blue Jays, and I don’t see as many of them as in previous years.